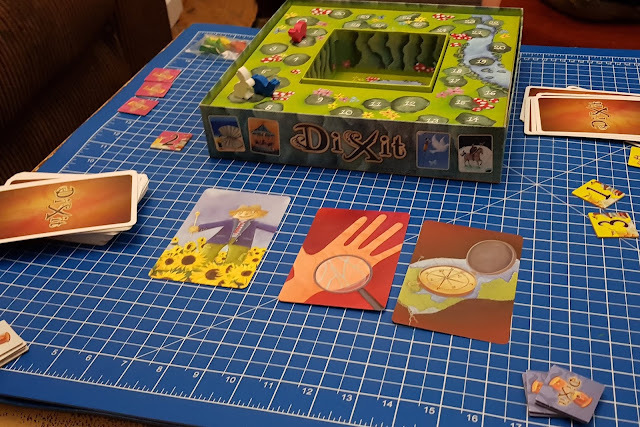 This month's review for the Blogger Boardgame Club is Dixit from Asmodee and Libellud. 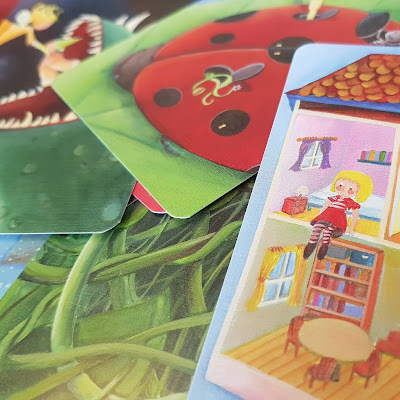 Suitable for 3 to 6 players aged 6+, this is a family board game which we all really enjoyed and it's utterly beautiful. 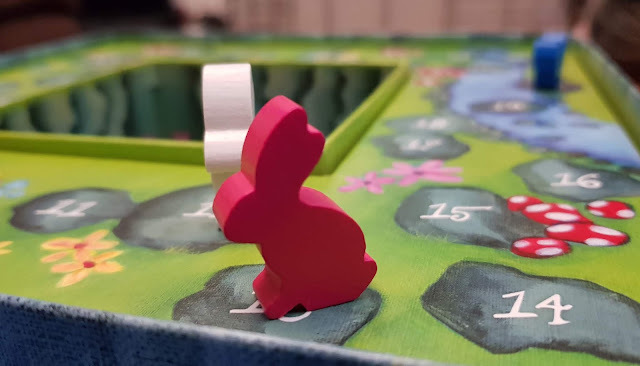 Very easy to play as well as fun and funny, this is a great one for late into the evening when you don't fancy being physically active and want to calm the bigger kids (and grown ups) before bed. It's also a fascinating insight into everyone else's head! Inside the box are 6 sets of press out cardboard voting tokens, 84 large Story Cards, 6 wooden rabbit player score markers, instructions, and the game board. 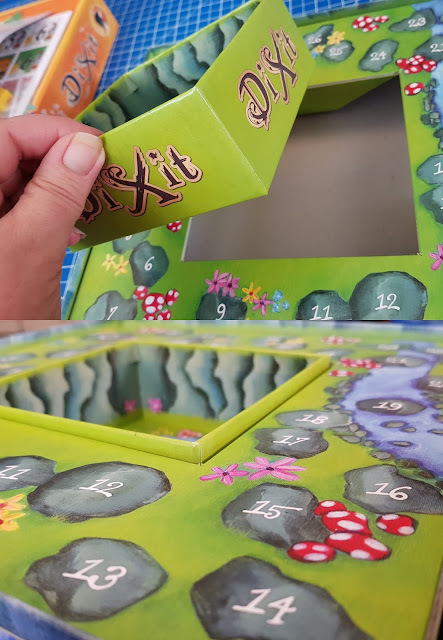 There is very little waste packaging from the cards, the game is plastic free and the box is brilliant storage for your game afterwards. Full marks and Christmas morning friendly. You'll need 50 seconds set up before first play to press out the Voting Tokens and shuffle the Story Prompt Cards. The game board is very clever and very pretty. Designed as a set of stepping stones around a deep pond, it whisks you away to the land of imagination and fairy story before you even start playing. The Story Prompt Cards are the real feature though. They are incredibly detailed and gorgeously illustrated with a host of imagination-inspiring images. It's the player's job to find a word, sentence or phrase to describe the cards and you can always think of many, many options. Before play starts each player is dealt 6 Story Cards and a set of Voting Tokens equal to the number of players minus 1 (we had 4 players, so 3 Voting Tokens). One player becomes storyteller for a whole turn. They choose a Story Card from their hand and without showing it to the other players, make up a sentence of one word or more to describe the card. 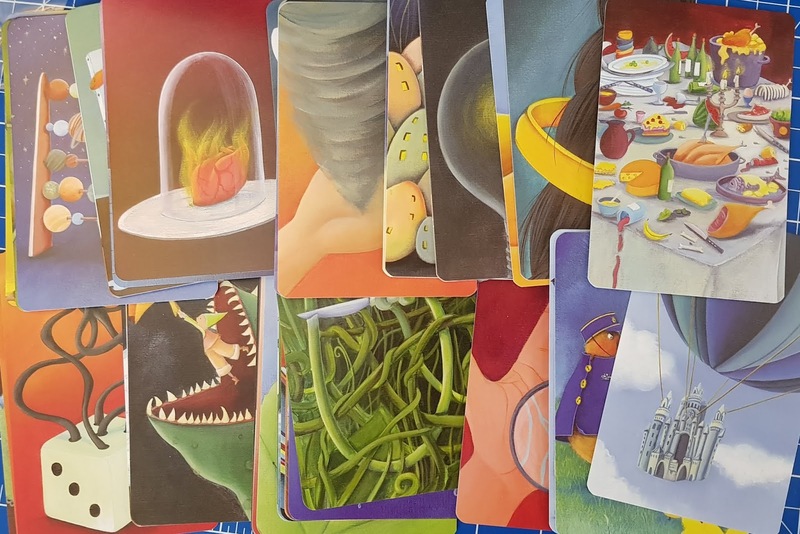 All of the other players then choose a card from their hand which best suits the sentence and, without showing it to the other players, pass it to the Storyteller. The storyteller shuffles their card with the cards they've been handed and place them on the table face up. They know which is their card and no-one else does. Players then select the voting token which corresponds with the card they think is the Storytellers and place it face down until everyone has voted. 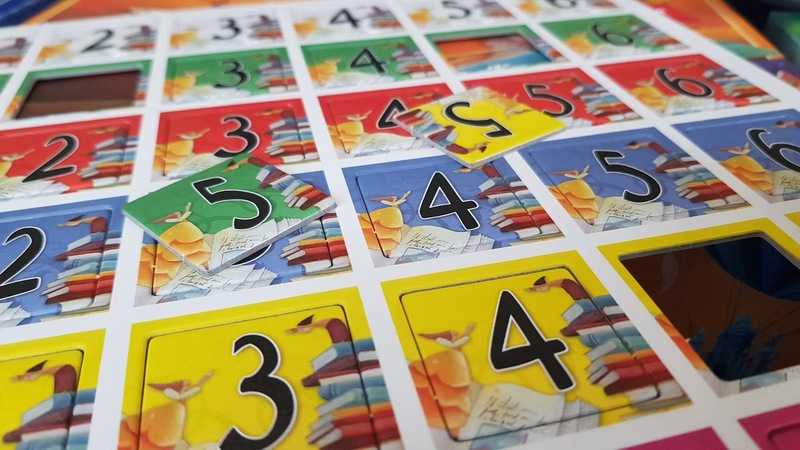 If nobody or everybody finds the correct card, the storyteller scores 0 and each of the other players scores 2. 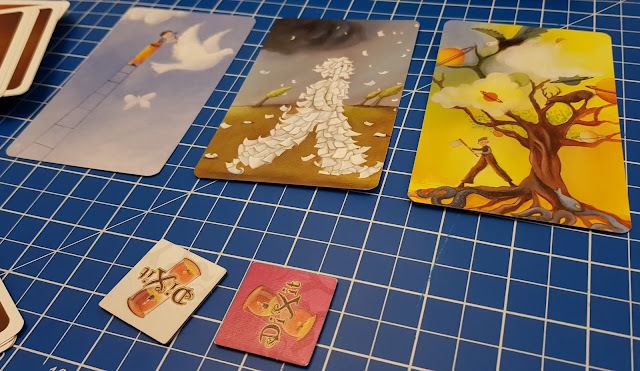 If some or one player correctly spots the Storyteller's card, they and the storyteller score 3. Players score 1 point for every incorrect vote for their own card. Score is kept using the track around the pond on the board. Players all take another Story Card before the next round, so each time you start with 6 options. The game ends when the deck is empty or if a player scores 30 points. In either case, the player with the most points wins the game. We've found we managed to achieve 30 points each time, usually before we even get half way through the deck. It's suggested that each game takes around 30 minutes, which we found was about right. It's a great and very calm game that we all really enjoyed. As you play, you start to appreciate how someone else thinks and you can start to anticipate their answers. In order to win, you need to give a clue good enough that someone gets it, but not everyone, so knowing the people you are playing with does help, as does remembering their age and references they might understand which will go over the heads of others. Ours was a close match and we found no real advantage to age. Our 8 and 10 year olds have as much chance of winning as the adults do, but the age suggestion of 8+ is correct, as before then your lack of general knowledge will be a disadvantage and you'll be frustrated. A fantastic game which you can play immediately, has no complicated rules to learn and anyone can win - plus it's gorgeous. We really like this one. 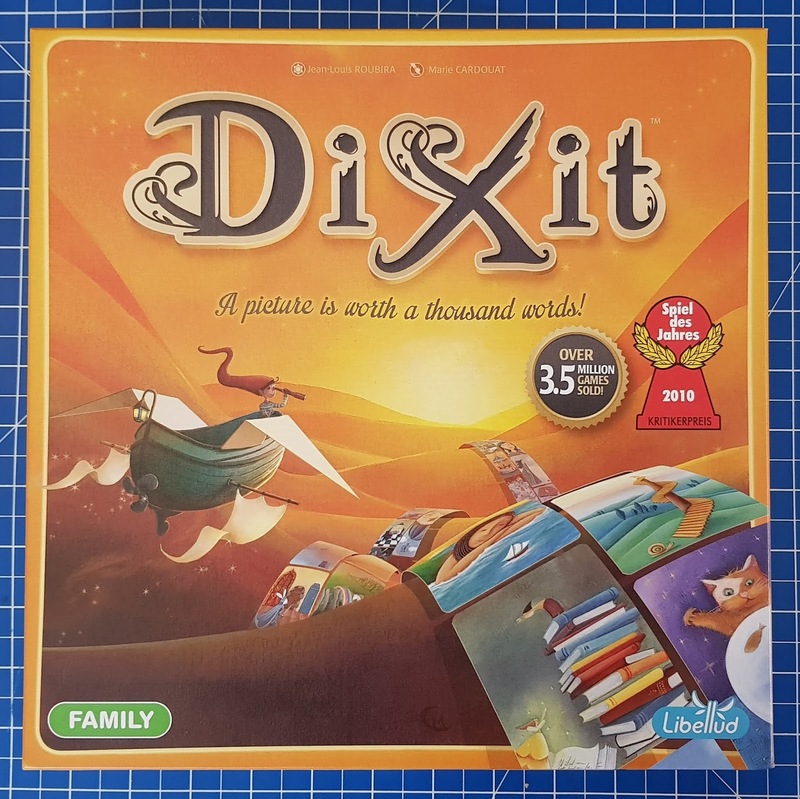 Dixit is available to buy now, currently priced £29.99rrp from all good toy and game shops, including online at Amazon*. For more information about the entire range available see the Asmodee UK website. 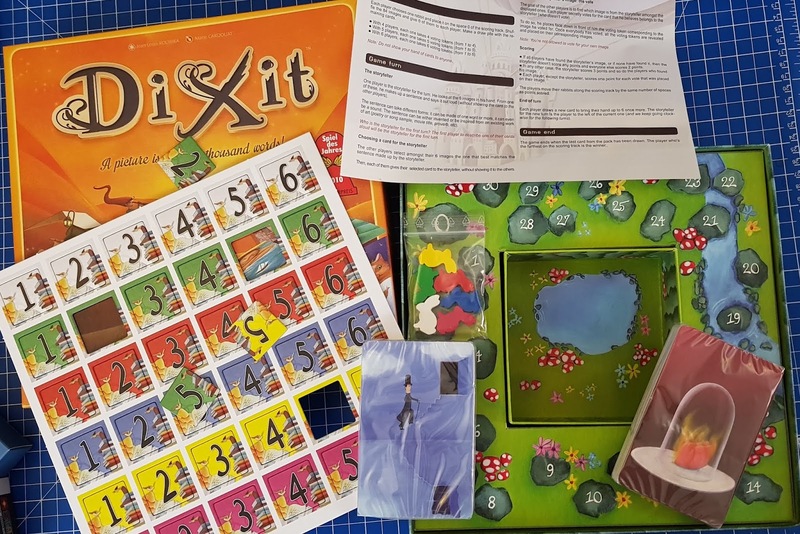 We were sent our copy of Dixit for review. *Amazon links are affiliate, so I earn a few pence as a thank you for my time if you order through my link, but you don't pay any extra.